In order to put food on the political agenda, we can’t just buy our way to a better food system. Recently, a colleague asked me for a “food movement primer,” a sort of what-you-need-to-know about the world of food policy today. I recommended reading our stories, of course. And I also put together an essential reading list, including Marion Nestle’s books, especially Food Politics, and her blog of the same name; Mark Bittman’s recent collection of New York Times’ columns A Bone to Pick; and Michael Pollan’s The Omnivore’s Dilemma and Food Rules, as well the resource list on his website, and his seminal article, “Food Movement Rising,” in The New York Review of Books. This request got me thinking about how things have changed since Pollan’s essay appeared five years ago. If the public’s interest in food policy news is any indicator, the fact that Civil Eats’ stories are being syndicated by venerable publications such as TIME and The Atlantic, as well as by online giants like Yahoo!, seems to suggest that a much wider audience is becoming interested in the stories behind their food. As an avid observer of the food movement, I agree that change is afoot, and not just due to an organized coalition around GMO labeling. There’s also new grassroots political muscle behind issues like food workers’ rights. As we’ve reported, one in six workers in the U.S. have food-related jobs; farmers, farmworkers, food processors, servers, and big box workers and grocery store clerks are all part of the effort to get food to our plates. Until recently, these individuals have been all but invisible. But not anymore. The Fight for $15 for fair wages for fast food workers, and the transformative work of Saru Jayaraman and Restaurant Opportunities Center (ROC), as well as the efforts of the Coalition of Immokalee Workers (CIW) to convince major grocery chains to sign on to a fair labor program for tomato workers, are all signs of real change. Food is indeed becoming political, and many groups are looking to make it part of the national dialogue. 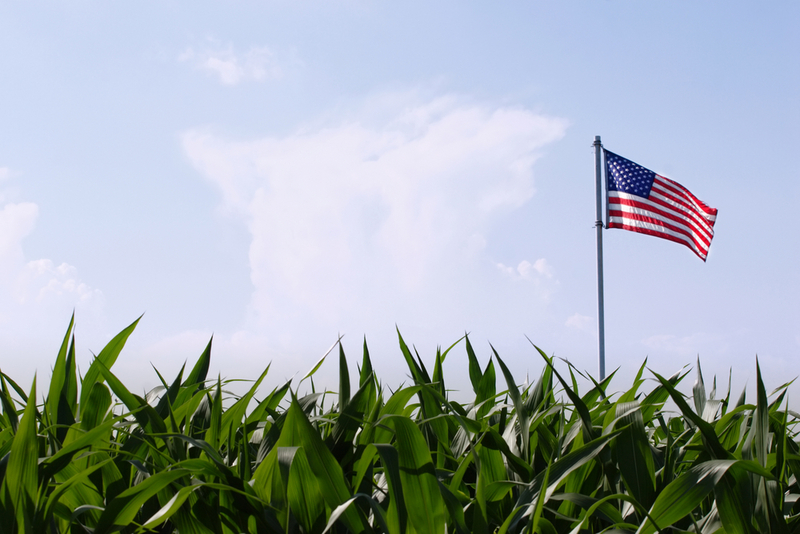 Food Policy Action’s (FPA) National Food Policy Scorecard, which rates members of Congress on their food and farm votes, is signaling to voters that they should support and vote for politicians who support and vote for a good food agenda. I believe chefs are a key ingredient to changing the food system; they are influencing the way we eat, what we grow, and are shaping the conversation about how to fix food. The Chefs Boot Camp for Policy & Change, a semi-annual convening hosted by the James Beard Foundation, and Chefs Action Network are working to develop a national network of influential chefs and restaurateurs committed to drive change. Indeed, just last week, Colicchio and 28 other chefs met with members of Congress on Capitol Hill to discuss the Childhood Nutrition Act, which is up for reauthorization before the end of the year. Last month, FPA, the Union of Concerned Scientists, and the HEAL Food Alliance, launched a “Plate of the Union” Campaign, releasing new polling data showing there is mounting evidence that food could become a galvanizing election issue in 2016. Among the findings: Three-quarters of those polled by FPA are somewhat or very concerned that five of the eight of the worst-paying jobs in America are in the food system. Whether that means raising the federal minimum wage or not, many American voters appear ready to bring the plight of food chain workers to the national stage. There are other signs that food issues are creating political pressure. Organizations like Roots of Change have been working for years to foment political results. Through its work, it helped to create the California Food Policy Council (CAFPC), comprised of 29 local food policy councils from across the state, develops and promotes statewide policies that will create a healthy food and resilient farms. This month the CAFAPC will issue its third annual critique of the Legislature’s and Governor’s actions on key bills it tracked and fought for in 2015. Last year, the city of Berkeley passed a soda tax, despite a well-funded campaign battle by the soda industry. The jury is still out on whether a sufficient portion of the cost of the tax will get passed onto customers to make a significant difference. None of this has been an accident. Credit to working on food at the highest political levels goes to the First Lady and her team, both former White House Chef Sam Kass, and current Executive Director of Let’s Move! and Senior Policy Advisor for Nutrition Policy, Debra Eschmeyer. And due in part to to Michelle Obama’s work to try and fix it, school food has become a political battleground. And there are a number of politicos working for change food policy from the inside—from U.S. Representative Chellie Pingree, who has proposed new legislation to reduce food waste, to Congressman Tim Ryan, who is perhaps one of the most outspoken politicians working to fix food. While political change can feel like a slow moving tanker ship, it’s happening at a quicker pace in the marketplace, where eaters are voting with their dollars, causing some news outlets to declare a “war on Big Food.” One of the best examples is the clear lack of political will to create meaningfully regulations on the use of antibiotics in animal agriculture. As several cities and the state of California all move ahead of the federal government on this issue, corporations like Subway, Chipotle, Panera, McDonald’s, and Chick-fil-A are all working to offer meat raised without antibiotics (and some doing better than others on that front). I have to believe that many Millennials (who make up our core audience) don’t just want to buy and eat better food. When they learn about the problems inherent in our food system, many of them are also driven to change them. One of our most popular stories is our own primer on how to get involved in doing just that. In the end, we can’t just buy our way to a better food system. The next generation of eaters will need to translate that desire for better food into a real political agenda. Fortunately many in the food movement are writing a road map and there’s still plenty of work to be done. Love this story and your website in general. It provides a wealth of information on important food topics all in one place. Keep up the great work. One clarification -- it appears that Rep. Pingree is still working on the anti-food waste legislation that you mentioned and hasn't actually introduced it in Congress. (At least I can't find it.) I'm hoping that when she does introduce it, you will note that fact in these pages and even profile the legislation. It's my sense that there is increasing widespread support for such efforts. Unfortunately, I agree food has been politicized. The solution however won't be found via the same path that gave us our collective food program: politics. How can policy makers and law correct an integrity, honesty and transparency problem where the entire process (politics) is one huge obfuscated corporate-contributed contrivance? People are the solution empowered by knowledge and local choice in the foods we consume. Politics is a process, where if one looks to politics for a solution, one will most assuredly get more processed food....which is the foundation of our current unhealthy situation.